The INPS Rare Plant List is an important resource as the central compilation of rare plants for the entire state. It is the basis for most agency sensitive/special status rare plant lists that guide management on public lands. The INPS Rare Plant List becomes the list of plants tracked by the “State Heritage Program” — Idaho Fish & Game’s Idaho Fish and Wildlife Information System (IFWIS) — the primary database for spatial information and population and habitat conditions for rare plants. It allows various entities a common reference for what plants are considered rare in Idaho, and can be helpful for prioritizing conservation efforts. The INPS Rare Plant List is the result of field studies and observations made by professional and amateur botanists throughout the state. New information about these species is presented and discussed at Regional Rare Plant Working Group (RPWG) meetings to assess their status. The results of the RPWG meetings are then shared and ratified at the Rare Plant Conference (RPC), which is held every other year. The methods used at the RPWG meetings are presented below. Updates to the INPS Rare Plant List are agreed upon by general consensus at the RPC, and a revised list is available “shortly” after the conference. The format and categories of the Rare Plant List have been modified over the years. Currently the INPS Rare Plant List has two categories (Rare and Review), and additional information is provided by the NatureServe global and state ranking. 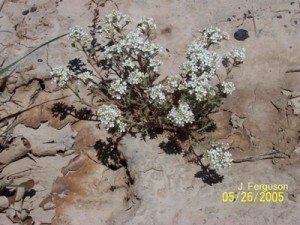 Rare plants are native taxa (species, subspecies, or varieties) considered imperiled or vulnerable in Idaho. This is the bulk of the list. Review plants are those thought to be uncommon in Idaho, but for which additional information is needed to determine whether they should be designated as Rare plants. This includes many plants with NatureServe “SNR” (State Not Ranked) designation. NatureServe global (G) and subnational/state (S) rankings provide information on each plant’s global (rangewide) and subnational (statewide) rarity, vulnerability, and threats. We take all available information, and run NatureServe’s rank calculator to generate S rankings. The 2014 RPC participants decided that all plants ranked S1 (critically imperiled), S2 (imperiled), or S3 (vulnerable) for Idaho would be included on the Rare Plant List.